Training regularly takes dedication and motivation so you want to make sure that when you’re hitting the gym, you’re really giving it your all. To maximize every rep and push through plateaus to get to that next level, it’s important that you get the right support to complement your efforts. Performance-boosting sports supplements can do just that: make you a better athlete so you can take full advantage when you’re doing your barbell bench presses, chin-ups, deadlifts and other lean muscle-building workouts. Performance-boosting sports supplements can help you elevate your training. Whether you consider yourself a gym rat or prefer to pound the pavement outside, performing your exercise of choice more effectively reaps more benefits. Besides a great sense of accomplishment, which leads to progress in your fitness journey, think increased endurance and power, lifting heavier, training for longer periods of time and reduced muscle soreness. In other words, you can become a superior, more productive athlete. Creatine is mostly known among bodybuilders for its strength and power benefits when building muscle. There are countless published studies about creatine improving muscular strength, quick boost in ATP production and improved performance in high intensity training. In fact, Belgian researchers reported in the Journal of Applied Physiology that untrained subjects taking creatine, while on a 10-week weight training program increased their one-rep max on the squat by 25% compared to a group taking a placebo. Creatine is also an amazing energy supplier, making the supplement ideal for runners, swimmers, rowers, cyclists, and even triathletes. Another study tested repetitive high-power output exercise bouts: following 20–60 seconds of rest after a short sprint, athletes’ speed may be increased on the second bout with performance increasing by 5 to 20% with creatine over the placebo group. Creatine can benefit many types of athletes, from those who enjoy the occasional mud races, to those who regularly play on the field like soccer players and football players, and of course the powerlifters. A high-quality creatine formula such as BPI Sports’ Best Creatine™ is like an energy drink for your muscles. Think better interval workouts, speed work improvements, and better performance overall. Best Creatine™ features six advanced forms of creatine including creatine monohydrate, creatine AKG and creatine phosphate. BPI Sports’ creatine formula enhances your body’s capacity to work harder, left heavier and perform better. Plus, it comes in delicious flavors such as fruit punch and snow cone. When it comes to boosting performance, pre-workout formulas offer many complementary benefits that deliver more productivity so you can go all out in the gym, maximizing every single effort. From increased endurance and strength, to improved energy and focus and a decrease in muscle breakdown, pre-workouts create the ideal environment for maximum performance. Caffeine, which is a common stimulant in many pre-workouts, assists with alertness but also delays fatigue, reduces your perception of how hard you’re working, increases fat oxidation for better weight management and stimulates the release of endorphins so you’re left feeling great while working out. According to a 2012 study in the Journal of Strength Conditioning and Resistance, men who took caffeine supplements could deadlift, bench-press and do other heavy lifting at greater weights compared to men who took a placebo. BPI Sports has a variety of pre-workout formulas including, 1.M.R™ and 1.M.R Vortex™, Pump HD™, Best Aminos™ with Energy, and Best Pre™, which is the first ever ketogenic pre-workout formula. While they contain various ingredient blends, they can all help you take your athletic performance to the next level. Branched chain amino acids include leucine, isoleucine and valine. Leucine is tied to muscle protein synthesis while isoleucine stimulates glucose uptake into cells. Supplementing with BCCAs helps with delayed fatigue, muscle recovery and reduced muscle soreness, which ultimately all play a part in performance. It also supports the decrease of protein catabolism or break down of the muscle. BPI Sports’ Best BCAA™ features a specific technology called oligopeptide enzymatic technology that acts as a better transport vehicle for faster absorption and recovery. 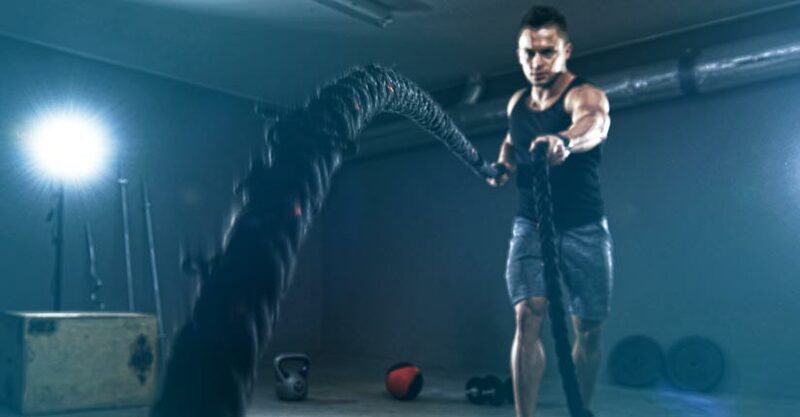 This technology means you’ll recover faster after an intense workout, helping your body repair itself so you can get back to the gym the following day and maximize your efforts one more time. Best BCAA™ boasts an added CLA MATRIX and agmatine to help improve performance by maintaining proper hydration levels and burning stored fat for energy.